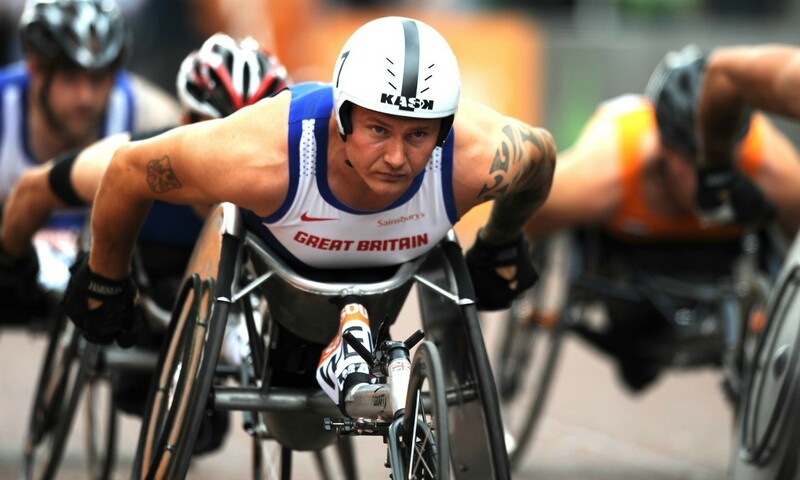 Eight current world champions are among the 49 British athletes selected for the IPC Athletics European Championships in Grosseto, Italy, from June 10-16. Six-time Paralympic gold medallist David Weir will compete over five events in Grosseto as he prepares for the Rio Paralympic Games, while reigning T44 100m Paralympic and European champion Jonnie Peacock and T44 long jump Paralympic silver medallist Stef Reid return to the fold after injuries saw them miss out on the IPC Athletics World Championships in Doha in October. Richard Whitehead and Sophie Hahn are among the eight athletes who won gold medals in Doha and will lead the British squad taking on Europe’s best at the Carlo Zecchini Olympic Stadium. Whitehead goes in the T42 100m and 200m after setting a 200m world record of 24.10 in Doha last year. Hahn was also in world record-breaking form in 2015, dipping to 12.60 in the T38 100m. She will look to go better once again in a busy schedule that also includes the 200m and 4x100m relay. Aled Davies extended his own shot put world record in Arizona last week with a throw of 16.13m, a mark which is still to be ratified by the IPC. The Welshman will look to retain his double European gold in the F42 shot put and discus which he achieved on home soil in Swansea 2014. After a successful international debut in Swansea two years ago, Jo Butterfield will have her sights set on retaining her European title in the F32/51 club throw, but will face stiff competition from teammates Gemma Prescott and Abbie Hunnisett, who were third and fourth at the previous edition. World champions Georgie Hermitage and Kadeena Cox both extended their world records last weekend in Barcelona in the T37 400m and 200m respectively and form part of the team for Italy where they will also be part of the T35-38 4x100m relay which includes Maria Lyle, Olivia Breen and Hahn, who were part of the gold-medal winning team in Qatar. Fresh from winning the Invictus Games and setting a huge lifetime best in Arizona, David Henson will have his sights set on a podium finish after a 24.71 clocking at the IPC Grand Prix in Tempe, which ranks him third in the world T42 200m standings for 2015. There is a return to the GB team for David Devine, who up until March had only competed once since his double bronze medal triumph at the 2012 Paralympic Games. Despite an injury-hit four years, the 24-year-old has shown he is getting back to his best after clocking 3:56.36 over 1500m on the weekend. Also on the comeback trail is T53 100m Paralympic gold medallist Mickey Bushell. Among those missing from the team is five-time world T12 sprint medallist Libby Clegg, who was unable to defend her 2012 European 100m and 200m titles in 2014 through illness. British Athletics advises that world medallists Kare Adenegan, Paul Blake, Hannah Cockroft, Sammi Kinghorn and Mel Nicholls are to miss the European Championships as they focus on their preparations for Rio. “We have picked a team consisting of vast experience with the likes of Dave (Weir) and Richard (Whitehead) combined with plenty of potential as we look ahead over the next few years including the 2017 World Championships in London and 2020 Paralympics,” said head coach Paula Dunn.